Wild Willpower PAC is registered with the IRS as a 527 tax exempt political organization. Contributions of money and other property, as well as proceeds from the sale of political campaign materials (including Homesteading Starter Kits), and proceeds from political fundraising and entertainment events, are tax exempt  due to the fact that such income is utilized to directly and/or indirectly attempt to influence the selection, nomination, election, or appointment of individual(s) to federal, state, and local public offices, and to offices in political organizations. 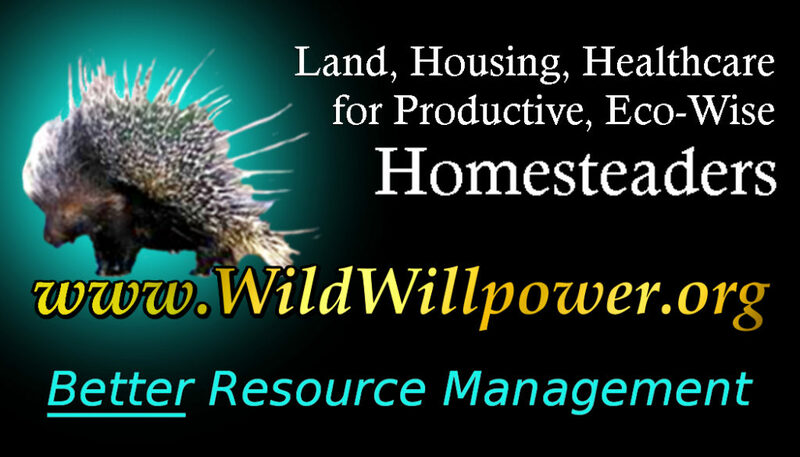 We maintain a general policy that we will not indorse or advocate for any candidate who does not openly support Wild Willpower’s national plan, which we’re currently in the process of developing. If you have suggestions to help improve the plan, please contact Distance@WildWillpower.org. We look forward to hearing from you! Or, simply email Distance@WildWillpower.org with your preferred method of payment, and let us know if you’re making a one-time donation or if you’d like to become a regular sponsor. We look forward to working with you!